Anastasia Gonis has been reviewing books for over twenty years. Her reviews and interviews have appeared in Bookseller & Publisher, Good Reading magazine, Australian Book Review, The Age, The Herald Sun, AllWrite, and many other publications. 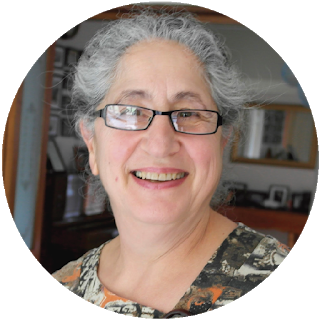 Anastasia currently writes both articles and reviews and is a revered reviewer for Kids’ Book Review. She loves all books, in particular children’s books which for her, contain beauty and joy between the covers. 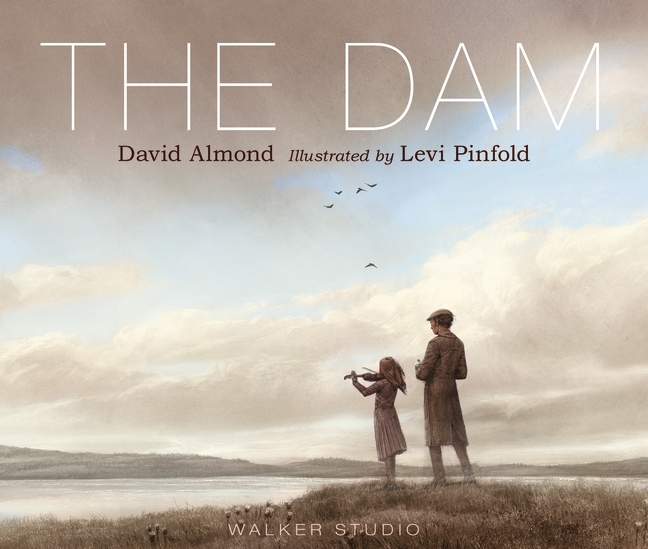 Today, I’m beyond thrilled to welcome her as a guest reviewer of, The Dam by David Almond and Levi Pinfold. I am filled with awe each time I view any of Levi Pinfold’s illustrations. There is a haunting beauty about them that makes you catch your breath at his ability to create such magnificent work that can easily be taken for an exhibition of canvases in an art gallery. And that’s what you see when you turn the second page, a series of images; canvases on display. You sigh at the sight of various sized birds – a few flying, others squatting in grass; tall wild grass, a tiny flower in the palm of a weathered hand, an eagle in flight, some blossomed wildflowers, a fox looking into the wilderness, two sheep with one grazing the other looking away, a man with a girl carrying a fiddle, a close-up of the girl’s face side-on, and one of the man’s in the same position. They are looking at what is and what will be washed away. Because the dam is almost finished. Turn the page and more canvases are on display. They are accompanied by the memories they are connected to that the man and girl recall; of the things that were but will be no more. Here is where you will break down from sadness as the girl plays her fiddle and farewells the building that conjures up the memories, while the father, tall and stoic, stands beneath the door frame. Their memories like ghosts, dance around them. They go from house to empty house, filling them with music, fiddling their memories, and watching them turn into mists that float away. When they have finished, out of the valley they walked. The dam is complete. Everything is covered with water. Within the water the music stays. It is in everything and in them. Permanent. It makes them sing and dance. That can never be washed away. David Almond is one of the most versatile and talented writers of our generation. His body of work and writing style is most impressive. It claws at you and makes you feel things deeply. Themes address what progress steals from people, and how they cope with loss and change. These flow through the book like the dam that carried it all away. This is a work of art both textually and visually. I doubt that anyone picking up this book will leave without it, and clutched to their heart. So you want to give something meaningful and useful and entertaining this Christmas. 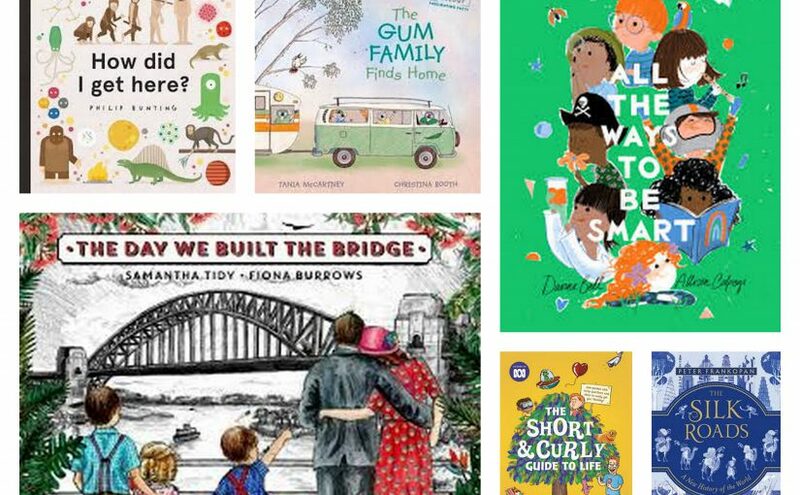 Well, have a look at these incredible Non-Fiction kids’ books that not only take you places but also inform, comfort, enlighten and above all keep the kids occupied while you sort out the eggnog! Enjoy. 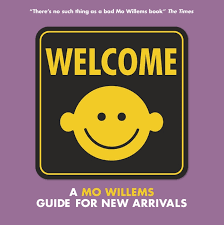 This is the penultimate new-baby book for new parents. Presented as a robust board book with luxuriantly thick pages, this will endure baby’s first year and beyond. It even comes with an embedded mirror so baby can actually see what all the fuss is about. Willems’ inimitable comic touch graces each page in this direct narrative to baby outlining all the highlights, expectations and regrettable conditions that they and their new family might encounter. It reads a bit like an instruction manual and partially like a charter for a new employee. Every word is gold. This is truly one to share as a parent, a gift giving family member and then again as a parent with your growing child. Supremely clever, witty and super super cute (in a non-cutesy way), I cannot recommend this highly enough for new parents and new humans. Spring has sprung and with it a prolific explosion of sublimely divine children’s books. Here is the slimmest selection. Do search the bookshelves for more. Befittingly released on the tail end of our Southern Hemisphere autumn, The Perfect Leaf is a glorious explosion of colour and joy. 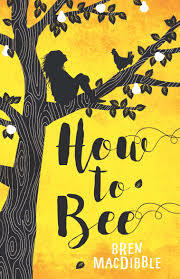 Smothered in hues of honey-on-warm-toast, this book oozes the golden splendour of autumn on each page, promoting friendship, imagination and creativity in a way adults often forget about but children naturally embrace. In a world where imperfections are deemed as failures rather than avenues for alternative thought and being, this book serves as an important reminder for us all to rejoice in the small things in life and look for the unique beauties within them. Plant’s multi perspective illustrations saturate each page, providing the perfect backdrop for his syrupy prose. 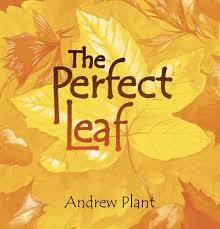 The Perfect Leaf is a lovely vehicle for discussion about nature, seasons, perception, acceptance and friendship. And, while more autumn hued than spring, worthy of treasuring as the days warm. 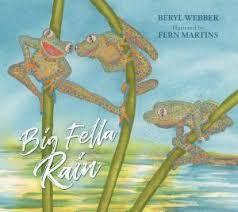 At a time when children are constantly being reminded of the arid nature of this land, Big Fella Rain is a supremely refreshing, soul-quenching look at life in the Top End of Australia. Picture books enable children to escape and experience worlds quite unlike their own. Non-fiction narrative picture books enhance those journeys even further. The following collection entices young readers to gaze skyward, creep through leaf litter and explore worlds in and beyond their backyards. 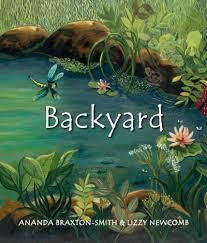 Backyard is as it says; a whimsical exploration of a normal suburban backyard, that on closer inspection is anything but normal. ‘Sweet-tooth bats’ flit about the dusky evening sky, tawny frogmouths sit ‘as still as wood’. There is tiny movement everywhere and for one ‘sleep-moony child and star-eyed dog watching’, the world comes alive despite their close proximity to the city. 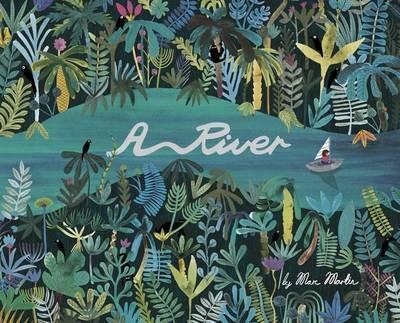 Visually sumptuous and satisfying, this picture book encourages mindfulness and evokes calm and imaginative thought. 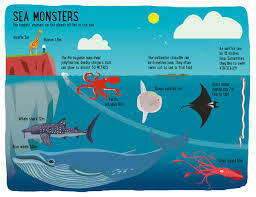 Captivating language coupled with sensory illustrations on every page will have youngsters revisiting this celebration of creatures great and small again and again. For children fortunate enough to grow up with grandparents the bonds they create can be intense and everlasting. Should something happen to their beloved grandparent(s), accepting that change whether through loss, illness or disability may be difficult to cope with. 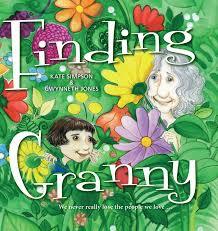 This handful of picture books celebrates the many golden moments grandparents provide invariably enriching their grandchildren’s lives whilst also gently exploring ways to cope with the inevitable experience of change. 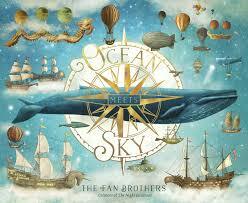 This is another glorious picture book by the gifted North American duo, Terry and Eric Fan. Ocean Meets Sky is a sumptuously articulated story about a small boy’s way of remembering his grandfather and dealing with his passing. Suffused with heart-hugging illustrations, the simple narration, which centres on a young boy searching for his grandfather aboard a boat he built himself, escorts readers to the moon and back, cultivating hope and collecting wonderment along the way. The hardback version, embossed with gilt images, comes with a gorgeous, eye-catching dust cover which is almost reason enough to open it and venture in. Collectable and memorable, full points for this magical and reassuring reading experience. If reading is the fount of knowledge and knowledge is power, then this list of informative kids’ books contains enough intellect to keep your youngsters gasping in awe for days, weeks, even years! Prepare your minds to be boggled. Can you name the first animal to have babies in space? I can now! I promised this book to my nephew, who is ga ga for it, but it’s so good, I wish I could keep it on my own bookshelf. Crammed solid with truly jaw-dropping, disgusting, hilarious, weird and wacky facts, this paperback compendium is easy to read and flick through allowing young readers to absorb an astonishing amount of info very quickly. 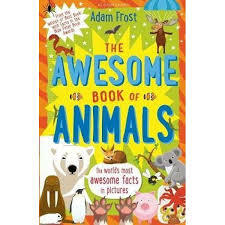 Brilliantly illustrated and thoughtfully arranged with enticing titles, The Awesome Book of Animals is a 20 out of 10 from me! Check out Frost’s other awesome titles of discovery, here. Fascinating creatures and hidden characters reside in every nook and cranny in this wonderful world. You have the chance to discover their exact locations, even when cleverly camouflaged from plain view. Explore beautiful and exotic landscapes while you search through these delightful picture books. 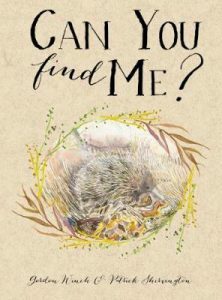 Can You Find Me?, Gordon Winch (author), Patrick Shirvington (illus. ), New Frontier Publishing, September 2017. Widely acclaimed author Gordon Winch, together with the charismatic artwork of Patrick Shirvington, present this Australiana vision of beauty in our natural scenery. From long, grassy tufts, to trees on the shore and nestled in amongst green leaves and winding branches are a secret collection of furry, feathered, scaly and ‘sticky’ animals just waiting to be uncovered. Whether it’s a grasshopper in the long grass, a king parrot within leaves and fruit, a leaf moth atop a pile of dead leaves, a gecko scampering on the muddy forest floor, a stick insect in sticks, or a seahorse weaving through the seaweed, the camouflage premise is the same. And Winch’s words hail clearly and repetitively; “I live in… I look like… That is why I am hard to see. Can you find me?” With their own distinction, the watercolour smoothness of fluidity and unifying tones cleverly mask each animal within its surrounding, however visible enough for young readers to play the game. Can You Find Me? is an enchanting book for inquisitive early years children who will no doubt forever be on the lookout for hidden creatures wherever they may go. 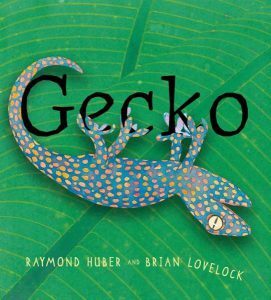 As a part of the Nature Storybook sets, like Claire Saxby’s Koala, Emu and Big Red Kangaroo, author Raymond Huber and illustrator Brian Lovelock present this narrative non-fiction beauty, Gecko, that sleekly combines story and fact to create a most captivating read. A scurrying gecko juts between sunning and guarding himself in the brightness of the day, but as the sun begins to set, food is on his mind. His food is also on his entire body as he peels and consumes his own skin! Apparently they shed their outer skin several times a year. Gecko also has clever ways to protect himself from predators as he alters his skin’s inflections, colours and folds to camouflage and hide his shadows. But Gecko becomes the target of a ferocious leaping rat, stealthily escaping the prying jaws by dropping his tail. And with one final defence of his territory, Gecko is safe and self-sufficient. Where’s Wally? Destination: Everywhere!, Martin Handford (author, illus. ), Walker Books UK, October 2017. 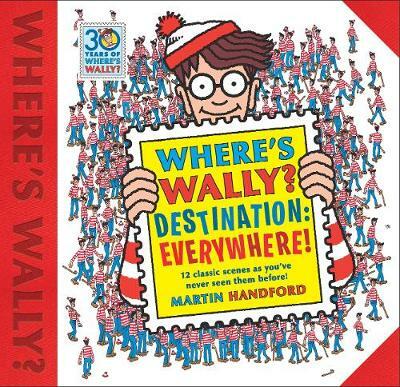 “Have you found Wally yet?” If you haven’t had the chance to find the famous wanderer and his intrepid travellers, or if you just can’t get enough and want to share the experience with your young ones, now’s your time! 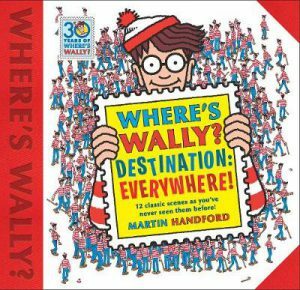 I’m fully stocked up on Where’s Wally? books (see my post, Wally Turns 30! ), but now with Destination: Everywhere, the magical search continues. This beautiful, large square hardcover with embossed linen spine is a Wally-fan’s delight. It includes twelve of the classic scenes with brand new twists, turns and playful meanders across the globe. In The Great Portrait Exhibition, Wally-Spotters are asked to scrutinise over the individual paintings, and even spot something that can “go and come back again”. A new collection of fantastical creatures and phenomenal people are clustered together in a gazillion frames – your job to match a given set with those in the main scene. More scenes follow with identifying localised portraits in amongst the larger picture, such as particular dinosaurs in the Jurassic Games, finding the corresponding Wally silhouettes in The Land of Wallies, and conducting a one-eyed Jolly Roger flag spotting search in Pirate Panorama. There are other games like manovering through mazes and sorting shapes and symbols, to keep your eyes peeled and fingers dancing all through the book. Once again, Where’s Wally? contains a pint of quirkiness and an ocean of vibrant colours and life. Destination: Everywhere! will transport its audience to the vastest of places only to get lost in the most minuscule of details. Still a classic! Mindfulness feels like the new catch cry. Its sudden appearance on school curricula and in children’s literature gives one the sense it’s a new concept but of course this is not one hundred per cent accurate. It’s more of a case of nudging empathy and caring within our next generations into a more prominent light, one that is accessible to them. Literature is one such way to improve accessibility and these two examples show how cleverly it can be done. Picture books on mindfulness abound. This picture book by Big Sky Publishing is particularly special because of its gentle quality and strong connection with the everyday child. There is no overt preaching to relay the suggestion to pause for thought and take time to look around and notice the world. Hughes illustrations glow. Vescio’s narrative flows with an easy grace, reflecting the soul of this story, to remain calm and thoughtful. Ella loves her backyard and fills her days playing in it but she overlooks the most obvious things at times, like the giant tree in the corner of her garden until one day, as the wind showers her with the tree’s falling leaves, she gets the impression it is crying. Despite reassurance to the contrary from her mother and Ella’s attempts to stem the downpour of falling leaves, nothing can alter nature. Ella’s mother then teaches her daughter to see things in a different light by learning to sit still, observe, feel and ultimately recognise and appreciate all the many splendours, whether large or minuscule of the world. And this allows Ella to enjoy her world much, much more. 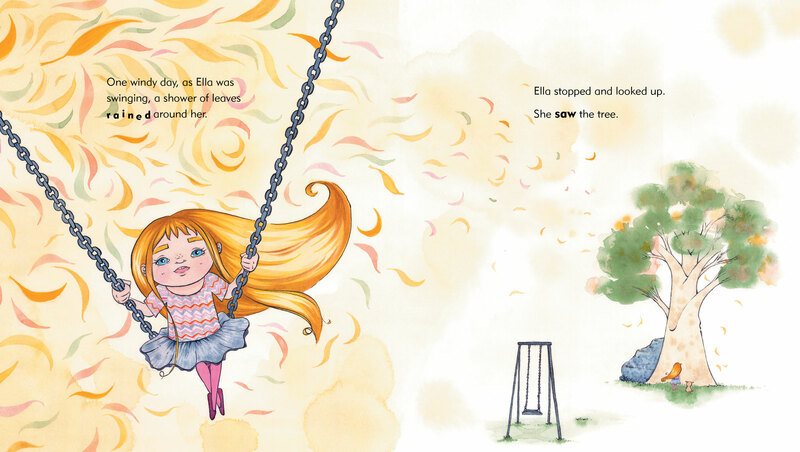 Ella Saw the Tree is a beautiful picture book to share, to keep and refer back to when needed. Whilst it focuses on an individual’s discovery of self-awareness, the implication that we should be more observant and empathetic towards our friends is also present amongst the swirling leaves of Ella’s tree. 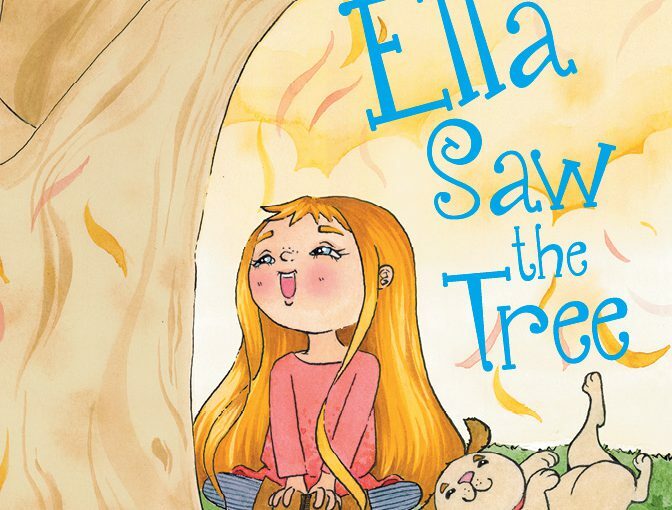 Read Romi’s in-depth review of Ella Saw the Tree, here. For more insight into the story behind this story, read my interview with author, Robert Vescio, here. This lilting junior novel is so on point with readers in this age bracket (6 – 8 years), it’s alarming. Apel reaches deep into the playground psyche of Grade 2s and extracts genuine emotion with the feather touch of verse. The dilemma of having too many friends and those friends not all liking each other truly does germinate in the junior school years, quickly sprouting into an all-encompassing crisis, at least it can in the eyes of a seven year old. It’s a problem that often continues throughout the primary years as children’s social webs widen and become entangled by their developing emotions. This eloquent verse novel more than ably addresses this social predicament from the point of view of Tahnee, whose pond of playmates is full to overflowing. How she works on retaining her bonds with friends she already has whilst inviting others she wants to befriend is skin-tingling touching and will no doubt strike a chord with many other children her age. 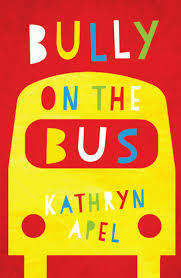 This third verse novel by Apel has a slightly younger, more playful feel about it than the previous, Bully on the Bus and On Track, which again suits the topic well. 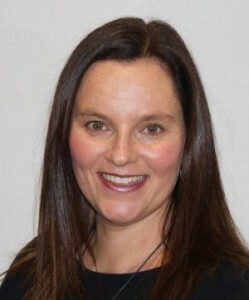 Tahnee is a warm, likeable character who epitosmises the concept of a mindful child. She shares her friendship woes with us in a series of short, elegant chapters that almost feel like standalone poems, perfect for readers to spend time with by themselves or as a sensitive shared reading experience. 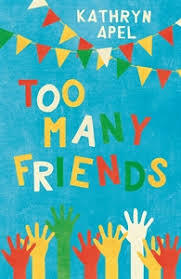 Too Many Friends positively celebrates mindfulness and friendship for lower primary aged readers, demonstrating the power and beauty of these two concepts through the discerning use of verse. Highly recommended. 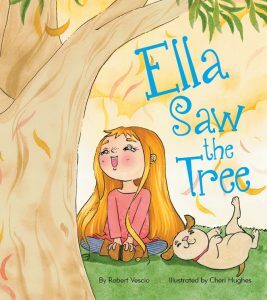 Ella Saw The Tree, Robert Vescio (author), Cheri Hughes (illus. ), Big Sky Publishing, May 2017. The value of mindfulness is not to be underestimated. For reasons of improving one’s stress levels, resilience, empathy, curiosity, decision making skills and self-awareness, practicing mindfulness is beneficial for positive wellbeing and mental health. 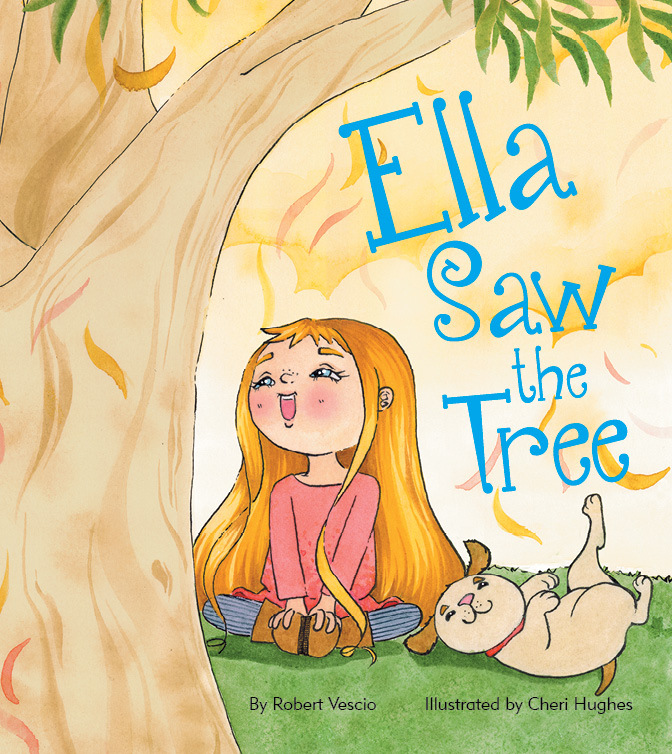 In his latest book, Ella Saw The Tree, Robert Vescio addresses these themes with thoughtful consideration. 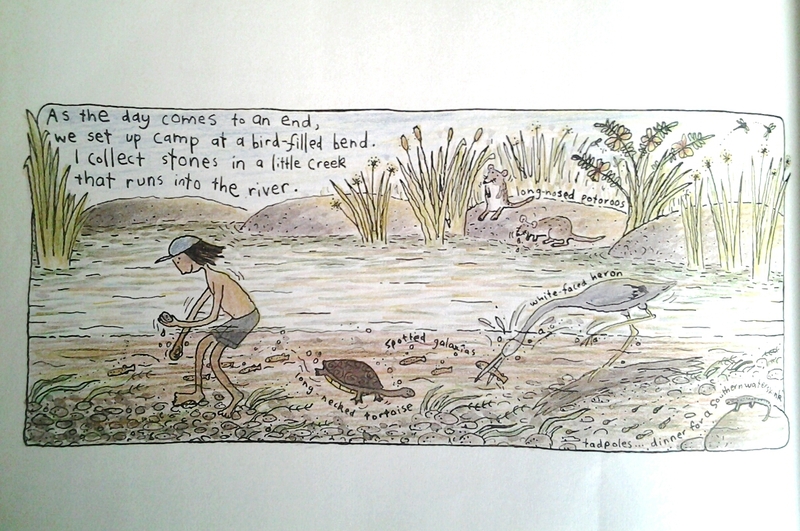 Here is a story that joyfully taps into children’s innately inquiring minds. It reminds them that slowing down, focusing on the inner self, and appreciating their environment will offer them surprising discoveries and a sense of calm. Ella is a free-spirit by nature. She has a keen imagination when it comes to pretend play. But as her mind is constantly brimming with fantasy and busy pursuits, it is the first time she notices the shedding tree in her backyard. A conversation with her mother helps Ella realise the tree’s natural cycle, the beauty of her surroundings, and the power of living in the moment. She becomes attune to her emotions, breathing and senses, finally allowing herself to respect life’s tranquil moments. Vescio’s elegant and sensatory language is beautifully articulated to connect readers with the aspects of mindfulness highlighted in the story. His words are delicate and carefully chosen, and pleasantly supported by the luscious illustrations by Cheri Hughes. The images emanate a feeling of warmth, soul and attention. Synonymous to the reflective nature of the book, Hughes has chosen to contrast the fluidity of the subtle background watercolours with the prominence of the vivacious character, as well as including varying viewpoints. 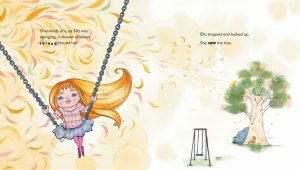 Ella Saw The Tree is a warm, entertaining and important story that invites children, and adults alike, to opt in to the skilful technique of being ‘at one with oneself’ and with nature. I love that this book prompts us to celebrate the simplicity, beauty and surprises of life that induce the most happiness. Read Dimity’s guest post with Robert Vescio from his blog tour. Amongst the themes of bedtime routines and playful antics are ones of sentimentality, unconditional love and guidance. Each striking in their own visual and lyrical ways, the following picture books perfectly set the tone for engaging and soothing shared reading experiences before the lights go out. 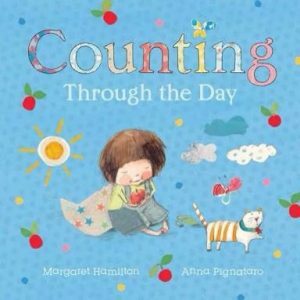 Counting Through the Day, Margaret Hamilton (author), Anna Pignataro (illus. ), Little Hare Books, June 2016. Here’s to making every little one count. Because this book gives us the warm fuzzies just like our own special ones do. Each number from one to millions is dedicated its own page with gorgeously combined pencil, watercolour and fabric collage illustrations. And to add to the gentle and soothing tone, a beautiful lyrical rhythm unfolds with every turn. The rhyming couplets take us through a fun and reassuring day with teddy, pets, favourite toys and loving parents and grandparents to share and protect the little girl. Counting Through the Day is a comforting vision of a peaceful routine and the beauty of nature. It presents a seamless integration of time from morning to night, and number awareness from one to twelve and larger figures including twenty, hundreds, thousands and millions. With immeasurable sweetness to devour, toddlers and preschoolers will lap up every precious moment shared reading this book with their loved ones. 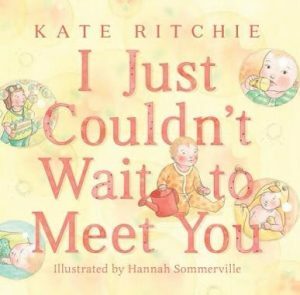 I Just Couldn’t Wait to Meet You, Kate Ritchie (author), Hannah Sommerville (illus. ), Penguin Random House Australia, March 2016. From the get-go, this book brings a sentimental light and a sparkling twinkle to every mother’s eye. The endpapers are laced with precious milestones from early pregnancy scans to growing bellies and baby shower invitations, and completed with snippets of the baby’s development. Ritchie tells a poetic love story to her little one about her every thought, hope and dream that soon becomes a wonderful reality when baby enters the world. The calming watercolours in pastel yellows, greens and pinks deliver this affectionate tale as parents prepare for their bundle of joy to arrive. The illustrations exquisitely give meaning to the words, with mum’s imagination presented in delicate thought bubbles. I Just Couldn’t Wait to Meet You is a book that both parents and their babies will treasure, enlightening bonds as they share their own loving stories of the journey into being. 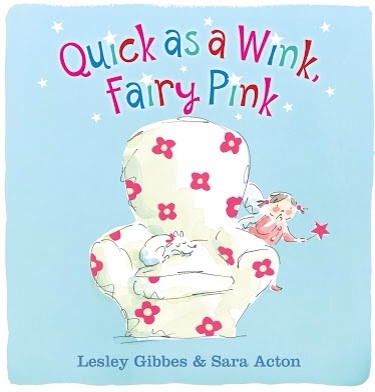 Quick as a Wink, Fairy Pink, Lesley Gibbes (author), Sara Acton (illus. ), Working Title Press, August 2016. What better way to soothe young ones at the end of the day than with a sprinkle of mischief and a dusting of spirit from five little flutter fairies in all their lighthearted glory as they set off to bed! As Fairy Blue, Green, Gold and Red fairy-step their way from teeth brushing, bathing, dressing, and reading into fairy-dreamland, one cheeky flutter fairy is playing a sneaky hiding game around the house. Enchantingly engaging us, amongst the rollicking rhythm, with the repetitive phrase is “But someone’s playing hide and seek. Can you see her? Take a peek. Quick as a wink, find Fairy Pink!” After all the frolicsome fun, I wonder who falls asleep first?! 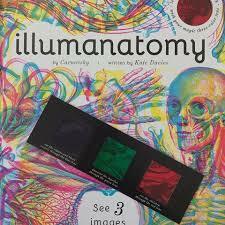 Clearly defined, bright colours and varied page spreads allow readers to identify each fairy and their actions. The illustrations further provide an interactive experience to complement the text with their adorably energetic line drawings and hidden details, such as locating the whereabouts of the naughty pink fairy. 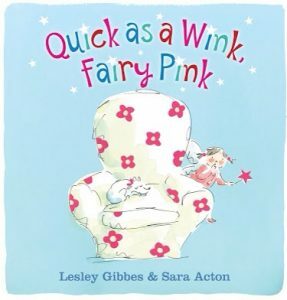 Quick as a Wink, Fairy Pink is suitably the most fairy-licious read to get your little ones to hop, wriggle and flutter their way to bed every night. My three year old daughter highly recommends it! 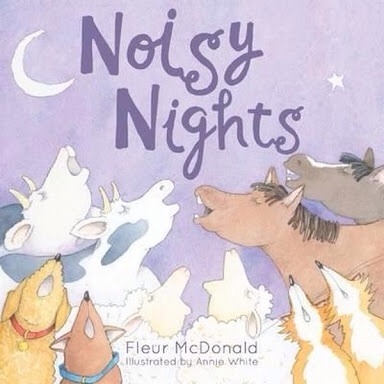 Noisy Nights, Fleur McDonald (author), Annie White (illus. ), New Frontier Publishing, August 2016. It’s quite a predicament when one is unable to sleep with a terribly noisy racket outside your window! This is the case for poor Farmer Hayden. His menagerie of animals, plus a clattering train, are chirping, moo-ing, maa-ing, nickering and howling through the night. And no matter how loud he shouts, the volume is far too high to even hear him. So what’s a sleep-deprived farmer to do? Count sheep, of course! A story of continuous laughter, and a touch of empathy, with its whimsical illustrations, Noisy Nights is loveable and entertaining. Preschoolers will certainly appreciate the silence after this read to ease them into a peaceful slumber. 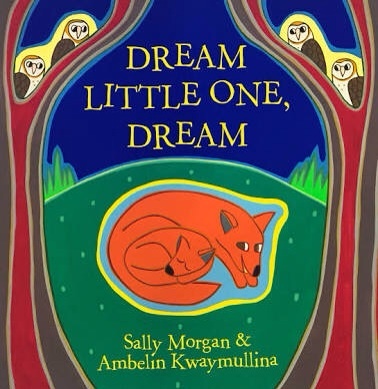 Dream Little One, Dream, Sally Morgan (author), Ambelin Kwaymullina (illus. 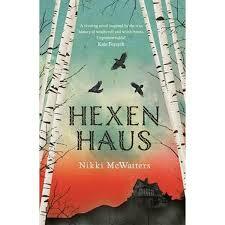 ), Viking Penguin Random House Australia, May 2016. 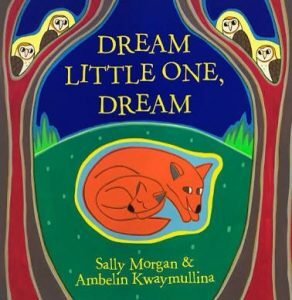 Vibrantly painted with line, pattern and bold colours, and told in a lyrically gentle tone, this title by much-loved Indigenous team sets such a joyous and endearing mood. A collection of popular Australian animal parents guide their babies to develop strength, skill and safety through nature’s most beautiful occurrences. Bushes bloom and roos bound, seas sigh and dolphins glide, insects buzz a story of the earth and snakes slide into the peace of a loveable land. The visuals and the visual literacy blend flawlessly, and are both stunning to see and listen to. Dream Little One, Dream will transport preschool-aged children to another world where only the most transcendent of dreams can take flight. Attributed as ‘a class act’ by The Australian. Praised by leading industry professionals. 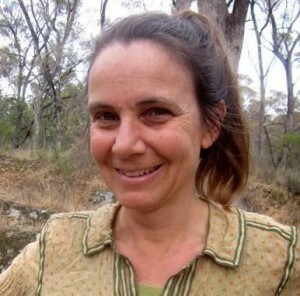 Her previous title in the series, Rivertime (review), is the winner of several book prizes, including the Readings Children’s Book Prize, the Wilderness Society’s Environment Award, and shortlisted in the CBCA Awards, NSW Premier’s Literary Awards and Speech Pathology Australia Awards. 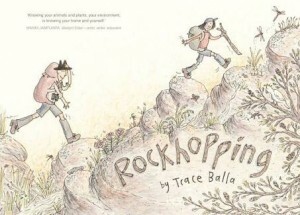 Author illustrator Trace Balla has moved us once more with her new graphic, enchanting mountain adventure novel in Rockhopping. With its sheer gravitational pull, Rockhopping takes its readers to gripping heights (and depths as it turns out!). You’ll discover moments of both unexpected intensity and serendipitous tranquility. Any primary school kid, or adult, excited by the possibilities of a hike through nature (particularly of the more challenging kind), and also those open to fortuitous opportunities won’t be disappointed by this symbolic quest. Clancy and his happy-go-lucky Uncle Egg spontaneously plan another camping trip following the success of their last one canoeing on the Glenelg River. Their aim is to find the source of the river. But Uncle Egg knows it won’t be easy so he ensures Clancy is trained and prepared weeks ahead of their journey. Backpacks full of supplies in tow, the pair begin their climb at the side of the Gariwerd (the Grampians) mountain range. Their time trekking around the rocks comes with not only physical, but emotional, strains. Using all their resources they find strength, willpower, companionship and loyalty to face and overcome the setbacks (including a rigorous endurance test by Uncle Egg to rescue Clancy, and his backpack, from a fall into a ravine). But at the same time they lap up the chances to appreciate each other and the wonder and beauty of the creatures and sights around them. Rockhopping is an enriching, magical delight with endless scope for environmental, social and historical study as well as inciting self-discovery and philosophical reflections. Certainly an adventure you won’t want to miss! Purchase Rockhopping by Trace Balla, published by Allen&Unwin, 2016. One day, a little girl’s father does an inconceivably bad thing. Granted he is not even aware of the crime he has just committed, which for the girl makes it all the more unconscionable. She’s too late to thwart his mindless destruction and cannot save the dandelions he has just mown in their backyard. Thus begins the picture book, Dandelions by first time team, Katrina McKelvey and Kirrili Lonergan. Now this raises the all-important question; just what is so important about a dandelion? Are they simply not just bothersome weeds, as her father is quick to point out? The girl attempts to elucidate the many and varied reasons she holds the dandelions so dear. They are in short, magical. So magical in fact, the girl knows that if she waits long enough, they will in time, reappear. Full of remorse, Dad observes his daughter’s sad and lonely vigil and sets out to cheer her up. Fortunately, for them both, a small clump of dandelions survives and together, father and daughter embark on a whimsical journey fuelled purely on joy and the wonderment of nature. As the dandelion seed-heads puff away, so too, do the imaginations of the girl and her father, wild and unfettered like the very wind they float on. The next half a dozen or so pages spin and swirl readers on a truly breathtaking odyssey up and over, through and around the neighbourhood. In a flight of true unbridled joy, the words twist and twirl and spiral and whirl across the pages too, as though teased by a capricious wind, past flowers bigger, and brighter than the humble dandelion but never quite as free. The subtle biology lesson from Dad serves to perpetuate the magic as assuredly as the breezy distribution of these puffballs ensures future dandelions and at last, our little girl finds comfort in her garden once again. McKelvey bravely uses verbal exchange to establish the bond between father and daughter but it’s the undulating sounds and colours of the prose used for the dandelions’ passage through the neighbourhood that I find most beguiling. 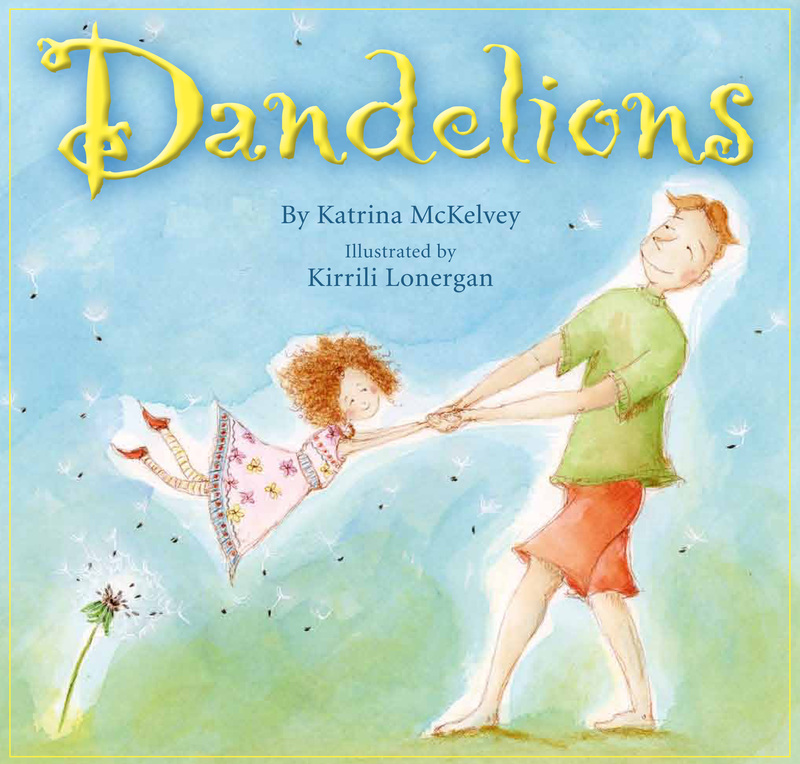 Lonergan’s line and water colour illustrations enhance the dreamlike quality of this story and explore some interesting perspectives from both a small person’s and a tumbling dandelion parachute’s point of view. Together they paint a satisfying picture of fatherly love and the tenacity of nature, which parallels the importance of never giving up. A dandelion puffball is in itself a beautiful thing. Blow on it and that beauty instantly multiples. McKelvey and Lonergan have taken this simple concept and exponentially increased its magic. Understated and as delicate as a dandelion in full flight, Dandelions is sure to fill the soft pastel and fairy predilections of many a young miss and make you want to seek out a puffball to set in a flight of fantasy of your own. Want to learn more about this fascinating flower and the author behind Dandelions? Then drift over to Romi’s interview with Katrina McKelvey. The scent of Spring is in the air. But that’s not all that’s lifting us up. From the tiny details to the wider world, our environment has so much to offer. 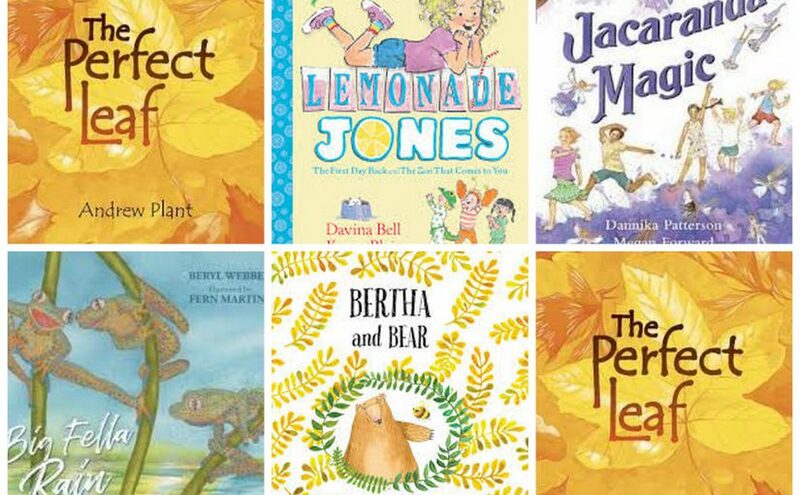 For different reasons, these following picture books discover beauty and how the elements of nature can capture our hearts and strengthen our human kindness. 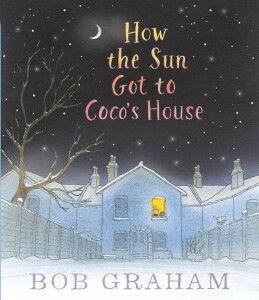 How the Sun Got to Coco’s House, Bob Graham (author, illus. ), Walker Books, 2015. I patiently awaited its arrival. Now I’ve had my fix, and… it was worth the wait. This one effectively enlightened all my senses. 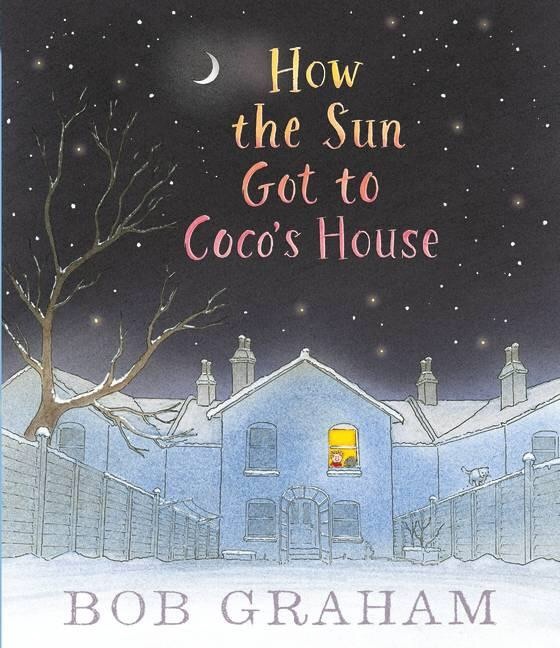 With Bob Graham‘s natural poetic writing style, philosophical touch and emotive images, ‘How the Sun Got to Coco’s House’ is another classic to soothe the soul. In a consecutive movement, similar to the styles of ‘Vanilla Ice Cream’ and ‘Silver Buttons’, the story takes us on a journey with the sun around the globe. Starting from behind a snow-capped mountain, the sun begins to rise, giddily skidding across waters, catching glimpses in eyes, footsteps, aeroplane wings and over cities. In and out of proximity, the sun’s rays meet a vast array, from individuals, to small villages, and whole countries. Until, it barges in through Coco’s window. The sun becomes one with her family and friends, bringing with it a sense of togetherness, comfort and warmth. A gentle story of life, responsibility and peace, this book is adorned with Bob Graham’s characteristically whimsical and magical illustrative style, with a beautiful lolloping pace. ‘How the Sun Got to Coco’s House’ is a valuable asset aimed to inspire young readers to explore global environmental and social issues, as well as one that will simply light up their world! Once again, Bob Graham…brilliant! 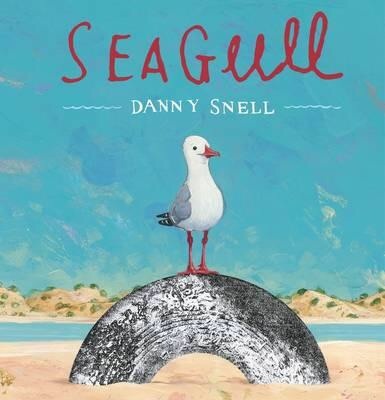 Seagull, Danny Snell (author, illus. ), Working Title Press, 2015. Danny Snell brings us a heartwarming story of humanity and freedom, making clear our responsibility for appreciating the natural world around us. Beautifully descriptive yet simple language and serene backdrops allow its readers an intimate experience as a seagull tries to free herself from a tangled fishing line. Unable to loosen it herself, Seagull initiates help from the other creatures around the beach, but to no avail. The further she tarries, the heavier her load becomes as she catches a manner of litter in the line. 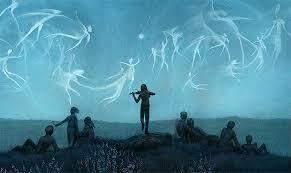 Finally, it is the silent observer that enables Seagull’s wings to spread, and her heart to sing once more. Snell has cleverly and effectively used mixed media to differentiate between the elements of natural versus man-made / fragile versus harmful with paint for the scenery and animals, and colourless scanned images for the items of rubbish. His artwork is stunningly textured with varying sky hues to represent the passing of the day and the exhaustion, and eventual freedom, of the defenceless bird. ‘Seagull’ is a gentle and significant story for primary school aged children to be aware of environmental issues and aims to empower control, kindness and compassion for our planet and our future. Definitely one that will pull on your heartstrings. 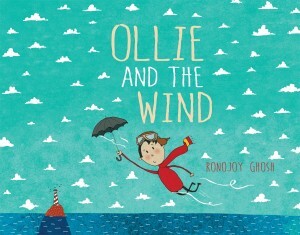 Ollie and the Wind, Ronojoy Ghosh (author, illus. ), Random House Australia, 2015. Here’s a cheeky story of one force of nature; the wind. Treating the gust as an anthropomorphic, invisible being, young Ollie interacts with it in creative ways, hoping to be reunited with the hat and scarf that were snatched from him. Upon discovering that the wind is not naughty, but in fact playful, Ollie gestures some of his favourite toys. A nighttime kite-flying romp sees Ollie and the wind form a special bond, which, by the looks of the final image, seemed to put the wind in high spirits. 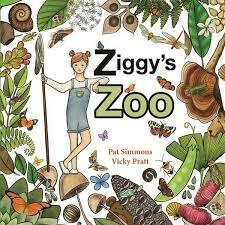 The text is full with depth and life, and is accompanied by vibrant, textured and jovial illustrations. Ghosh‘s fine line drawings, minimal colour palette of bold greens and golds with statements of red, and cartoonesque style qualify for a unique and captivating reading experience. 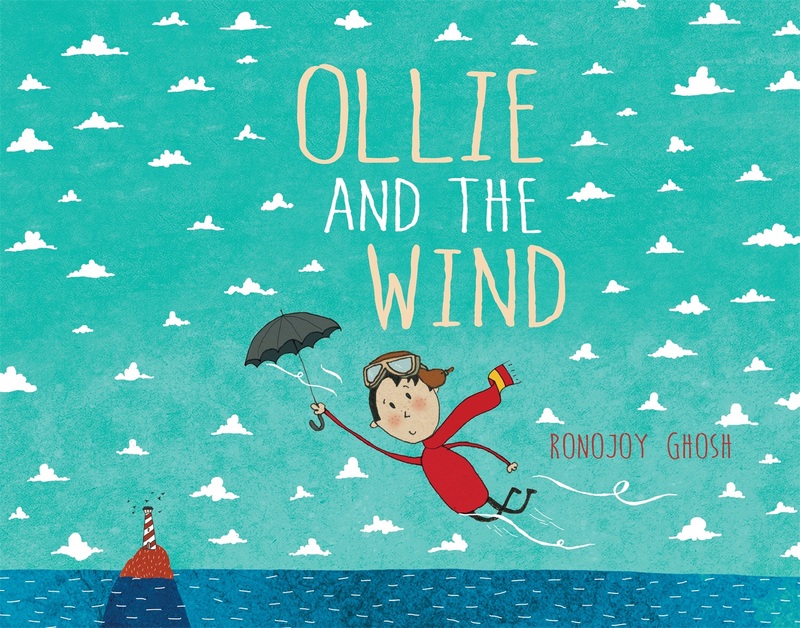 ‘Ollie and the Wind’ will capture more than just your heart. It will encourage preschoolers to look at the world with a fresh perspective, investigate studies of meteorology, and explore friendships on another level. Finding the extraordinary hidden in the simplest of things is like discovering a little piece of magic. Take a moment to stop and breathe in the beauty around you. You’ll find wonder in the most imaginative places! Whether you enjoy time in solitude, with a partner or a group, these few beautiful books help remind us all of the treasures in our world; nature, love and friends. 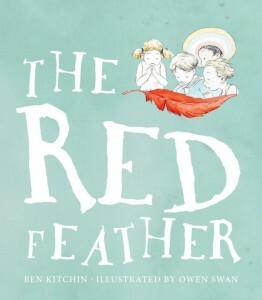 The Red Feather, Ben Kitchin (author), Owen Swan (illus. ), New Frontier Publishing, 2015. With its calming and gentle illustrations using soft, muted beachy blues and yellows, and delicately written, warming story, ‘The Red Feather’ symbolises tenderness, resilience and autonomy. When a group of young children visit the seaside, it is Claude who finds the red feather first. Wanting it for himself, he takes a light approach; patting it and wearing it in his hair…until he feels hungry and swaps it for a whole watermelon. One by one, the children delight in its flexibility, including singing, twirling, cuddling, dancing, and jumping with the small red quill. And one by one they take turns to trade it (although hesistantly) when something else is needed…until they feel lonely. Finally they discover that playing cooperatively is much more satisfying…until the red feather finds a new owner. This simple story of resourcefulness, sharing and friendship stands out as one of beauty, just like the bright red feather that joyfully glides and swishes throughout the pale background scenery. ‘The Red Feather’ is an enchanting story to encourage preschoolers to see the value in togetherness; a single feather may look beautiful on its own, but imagine its beauty in full plumage. 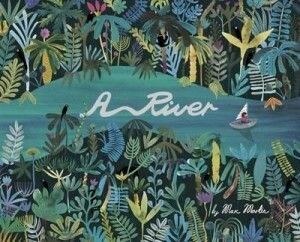 A River, Marc Martin (author, illus. ), Viking Penguin, 2015. This stunning book by Marc Martin encourages the solidarity of imagination in a world that is far greater, but no less beautiful, than a single feather. From the gorgeous, embossed front cover, to the endpapers that signify the beginning and ending of the story, with plenty of hidden clues to draw us in, it is easy to become totally entranced by this book. A girl sits at her desk overlooking an expansive, crowded city with a single winding river flowing through it. In her little boat, she imagines floating amidst speeding cars on motorways, smoky factory buildings, patchwork fields of crops on farms, lush green valleys, gushing waterfalls, and through jungles and rainforests like the Amazon. And as the darkness sets upon her, she sails into open, and sometimes gusty seas until the raindrops on her window bring her back to the reality of her bedroom, and she notices the glimmering moonlight shining on her silver boat ready for another adventure. Magnificently detailed, soothing landscapes on double page spreads and whimsically constructed poetic text beautifully compliment each other, effectively taking the reader on this tranquil journey with the little girl. Just divine! Yak and Gnu, Juliette MacIver (author), Cat Chapman (illus. ), Walker Books Australia, 2015. In another river ride adventure, Yak and Gnu are the best of friends. In rollicking rhyming text, this unsual pair sing and row along peacefully in their kayaks, believing that their ingenuity is unlike any other beast known to…beast. Until they encounter a goat in a boat. Now there are no other beasts like them, except for Goat. 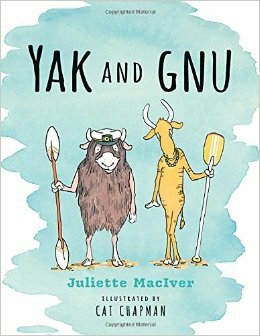 Carrying on their journey to the sea, Yak and Gnu are surprised and disgruntled each time they meet other sailing, rafting, floating and hovercrafting wild animals. Initially able to count these intruders of the water, the numbers appearing, and the ways they travel become more and more ridiculous and overwhelming. Concluding with an exquisite sunset, Yak and Gnu come to realise the beauty of their friendship to each other overrides any notion of originality or superiority. Wildly bold and animated watercolour illustrations and entertaining rhythmic, read-aloud language, Yak and Gnu will have young readers in bursts of giggles from start to finish. 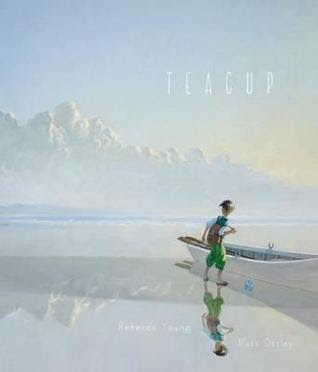 Teacup, Rebecca Young (author), Matt Ottley (illus. ), Scholastic Press, 2015. In one word – breathtaking. The irrefutable talent of illustrator Matt Ottley is sublimely showcased with texture and depth in this profound tale written by Rebecca Young. Her poetic text has a sophisticated tone with its ability to evoke emotive feelings and strong imagery in one’s heart and mind. Experiencing days of serene white backdrops, calming whale sounds and the gentle, whistling sea breeze, together with times of darkness and cruelty, a young boy has no choice but to flee on a courageous journey to find a new life. Memories from home flood his heart but these reflections carry him forward. Amongst his few possessions, a simple teacup filled with earth, becomes the fruitful treasure that ties the uncertainty of the sea to the prosperous future that was just a whisper away. ‘Teacup’ is a poignant, powerful story of displacement, change and hope. It is a stunning gem aimed to promote the understanding of social issues and human rights, and also one that primary school aged children are sure to appreciate for its majestic beauty. Read Dimity’s captivating review of ‘Teacup’ here. 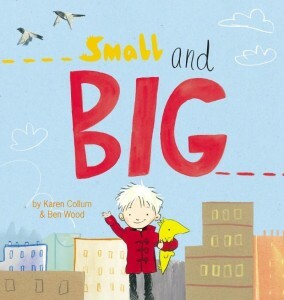 Small and Big, Karen Collum (author), Ben Wood (illus. ), Windy Hollow Books, 2015. With large, clear font, this gentle story tells of two friends that are like polar opposites; a self-assured boy called Big and his little, timid lizard-like pet, Small. Their perspectives on the world differ greatly. Big bellows in the city streets, admiring the huge buildings and long streets. Small curiously observes autumn leaves and trickles of water. He ends up following slippery snail trails, a scampering mouse and a feather, until he realises he’s lost. In his desperate attempt to find his way back to Big, Small must think ‘big’ thoughts. It takes this near tragedy for both to realise what matters most in this life…each other. With a gorgeous array of watercolours and pencil sketches, bright colours and mixture of busy scenes and stark, lonely white pages, the illustrations and narrative effectively capture moments of joy, wonder, urgency and despair. ‘Small and Big’ is a sweet, heartwarming tale of friendship, appreciating each others’ unique differences, and a world of beauty. Primary school aged children of any size and personality will adore this ‘little book with a big heart’. 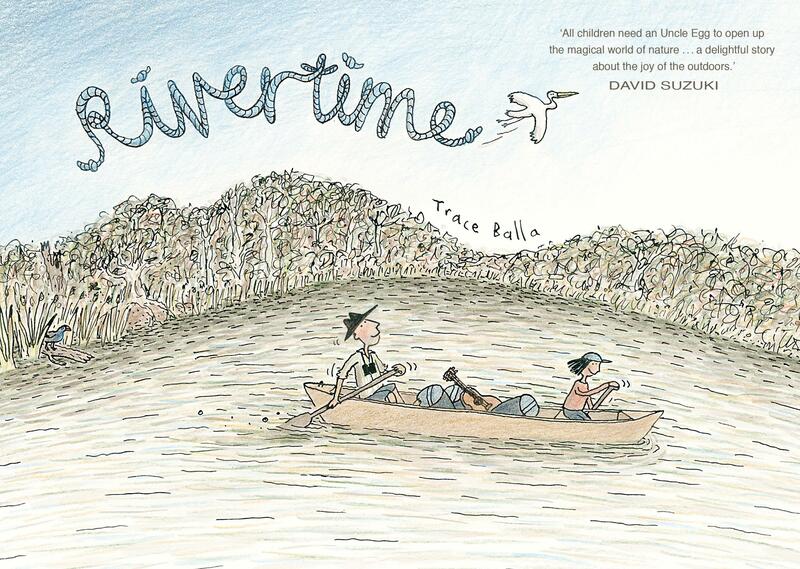 Up-and-comer author illustrator, Trace Balla, has quickly hit the scene with the recent success of ‘Rivertime‘, being both shortlisted in the 2015 Children’s Book Council of Australia Picture Book of the Year Awards, and winning this year’s Readings Children’s Book Prize. Her work stems from a background in art therapy, animations and community involvement, with a strong focus on environmental themes. Let’s enter the magical tales of nature, love and loss with her two books, ‘Rivertime‘ and ‘Shine’. 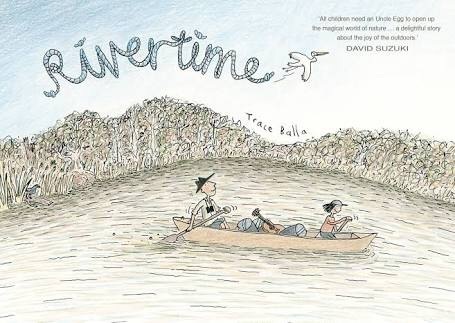 Rivertime, published by Allen & Unwin in 2014. You know a book’s going to be special when the front cover is graced with both an entrancing illustration and a testimonial by acclaimed environmentalist, David Suzuki, telling us about the delight and magic that awaits inside. I’m already loving the endpapers that greet us with a wonderfully hand-drawn menagerie of native birds at the front, and other flora and fauna at the back, all ready to be spotted along our river journey. Boxed vignettes, speech bubbles of handwritten dialogue and endearing pencil drawings form the visual and sensational adventure that we embark on with characters, ten year old Clancy and his Uncle Egg. When number-loving Clancy is finally big enough, his bird-loving uncle plans a ten-day (or 240-hour, or 14,400-minute) paddling trip along the Glenelg River, minus all the technological gadgets. At first, Clancy is grumpy, but as the days pass, so does his temperamental attitude. The pair encounter beautiful wildlife, serene views and fascinating people of the land. Clancy learns to appreciate the beauty of nature and its creatures, a few camping skills, and particularly, to conquer the jetty exit! I just adore the tranquility, including scenes of ‘timelessness’; of gentle, seemingly-infinite rivertime drifting and star gazing on double page spreads. 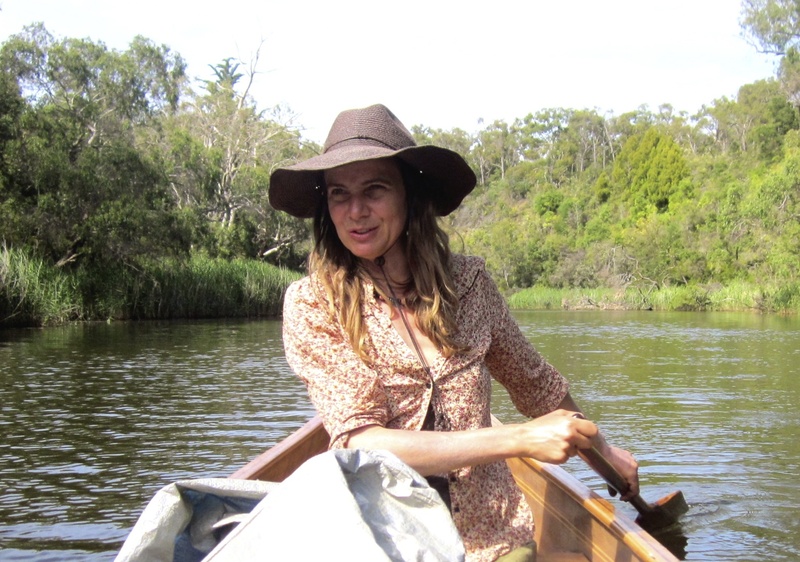 Final pages include a map of the canoe trip on Bochara (the Glenelg River), and the author’s inspiration for the story following her own river journey, away from the modern world. 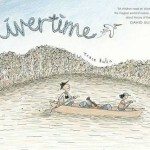 ‘Rivertime‘ is a calming influence on what is normally a chaotic lifestyle for most of us. It lets us take a breath, or a few, and enjoy the Australian river ride, encouraging its readers to connect with, and hopefully strive to sustain, our unique and wonderful natural environment. Paddling up this river is a true delight; ‘oar-some’ to be explored independently and as part of a class discussion. Download a handy pocket bird-watching guide to accompany Rivertime here. 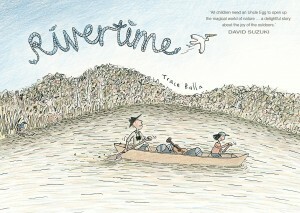 And, look out for Trace Balla’s sequel to ‘Rivertime’; ‘Rock-hopping’. Shine; a story about saying goodbye, published by Allen & Unwin in 2015. 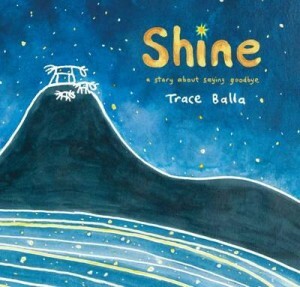 From an intensely raw place in her heart, Trace Balla wrote ‘Shine’ for her sister’s children after the sudden passing of their father. From the dedication page, this book takes the reader on an emotional journey, even for those who haven’t experienced loss of great magnitude. With its heavenly, Indigenous-look line and dot paintings, and equally sentimental Dreamtime essence in the words, we are introduced to a shimmering light amongst the golden stars; a young horse called Shine. As the planets align, he meets the lovely Glitter, and together they are blessed with two little sparkles, Shimmer and Sparky. When Shine has to return to his star, the family weep golden tears that form a huge golden ocean. But this is the part that really got me… As they climb the steepest of mountains to reflect upon its beauty, Glitter explains that its vastness represents the endless and enduring love they have for Shine and for each other. Finally, it’s the brightest, most special star of all amongst the twinkling night sky that allows them a deep and beautiful sleep. ‘Shine’ is a touching story that sensitively deals with ‘saying goodbye’ in a simple, yet profound way. Trace Balla cleverly uses yellow and blue hues not only to represent the shine amongst the dark, but also as the hope and love amongst the tragedy of loss. A metaphorical beauty for young children, with the power of everlasting love at its core.